Okay, fine — Bigfoot and Nessie are cool. And, yeah, I guess the Chupacabra is a pretty darn awesome, too. But they’re all a bit mainstream; a little too well-known in some ways. Of course, with so many other equally-fascinating cryptids just waiting to hit the spotlight, such bias on just a select few seems a bit unfair. 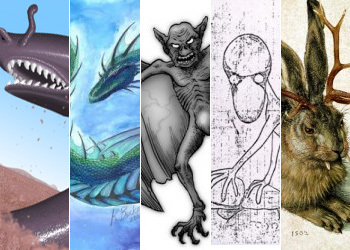 Fandomania’s Cryptozoology Month hopes to solve these issues and expose the world of cryptids that exists beyond Bigfoot — and what a mesmerizing world it is. To aid in the discovery process, we’ll be exploring some of these lesser-known monsters, all the while uncovering what makes them both cryptic and cool. The minhocão is quite fittingly named. 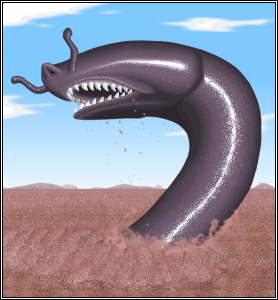 Meaning “giant earthworm” in Brazilian Portuguese, the minhocão calls the forests of South America its home — well, allegedly, that is. Reaching sizes of up to 75 feet in length and adorned with scaly skin and horn-like protrusions from its head, this beast, whose primary mode of transportation is by way of burrowing through the earth, was spotted most frequently in the 19th century, stealing livestock and smashing down trees. Though sightings of this mysterious worm gradually disappeared toward the end of the 19th century, cryptozoologists continue to debate both its existence and its nature. 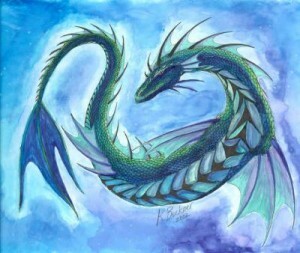 Resembling something of a dragon or a dinosaur, the Brosno Dragon (often shorted to ‘Brosnya’) is a lake monster that, reputedly, inhabits Lake Brosno in West Russia — but that’s where the Nessie comparisons end. Brosno’s beast is significantly larger and less known; most sightings were recorded in the 13th century, illustrating a roaring creature that devastated fisherman, horses and soldiers, and caused panic in many nearby villages. Still, however, some fear seems to exist today, though certainly not to the extent felt hundreds of years ago. 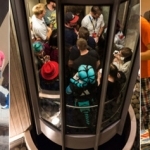 Recent reports are often fragmented, unfounded, and scarce. Of course, there are skeptics who argue the existence of the dragon, with some deducing sightings to be volcanic eruptions beneath the water. But, its actuality aside, the Brosno dragon is an undeniably intriguing creature — and a very scary one, too. Believed to inhabit Central Africa, these gigantic bats have wingspans of up to 15 feet — more than double that of the world’s current largest bat. 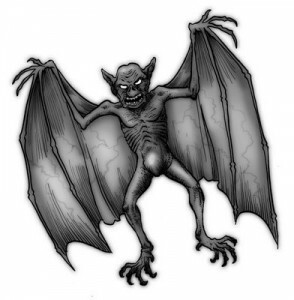 The first claimed sighting of one of these monsters came from Ivan T. Sanderson, a hunter searching for hammer-headed fruit bats in Cameroon. Calling it the “granddaddy of all bats,” his encounter with an Olitau wasn’t pleasant; apparently, the beast swooped down on both Sanderson and his partner. And his description of this Olitau — with its huge teeth and black, hairless body — was none too settling, either. Researchers suppose that Sanderson’s Olitau was a surviving species of Pterodactyl, a flying beast that were thought to have grown extinct with the dinosaurs. Others, however, concurred with Ivan, thinking it to merely be an abnormally large — and dangerous — bat. The Dover Demon, as it is affectionately known, was only seen for a short while. In fact, its only three sightings occurred within a sole 25-hour period in the town of Dover, Massachusetts. First seen by three seventeen-year-olds cruising through the area, the Demon was described by the driver as having a disproportionately large, watermelon-shaped head. Along with eyes that glowed orange, it had long, lanky arms and thin fingers — which it used to grasp the pavement as it walked. 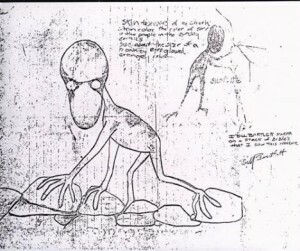 Several witnesses drew pictures such as the one seen above, and, while there were some discrepancies in reports of this mysterious figure’s appearance, all agreed that it had no ears, mouth, nose or discernable gender. In other words, its appearance was not unlike that of an otherworldly, extraterrestrial creature — an alien of sorts. Yet the Dover Demon’s actual existence is, however, unlikely; all of its witnesses were teenagers, and a few, it must be said, were delirious at the time, leading skeptics to question whether the Demon was real, or simply the output of a drug-influenced imagination. Okay, now this one is a bit ridiculous, but still an awesome cryptid all the same. Believed to nestle in the alpine forests of Bavaria, Germany, the wolpertinger is, to say the least, a difficult creature to classify. Its body, somewhat resembling that of a rabbit, is composed from numerous animal parts — wings, antlers, tails and, of course, fangs append themselves to this strange mammal. 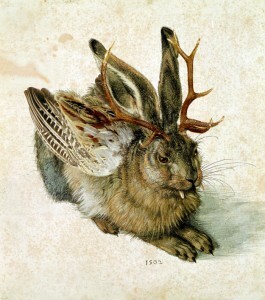 Though sightings have been extremely rare, the wolpertinger has still managed to somewhat work its way into popular culture. Stuffed versions (crafted with parts of other animals) are put on display inside inns of Bavaria, while games like World of Warcraft and Runescape offer this rabbit-hybrid as pets. Indeed, while the wolpertinger’s existence is wholly unlikely, one must admit: a fanged rabbit is pretty damn badass. And others seem to agree. Now that you’ve seen some of my favorite lesser-known cryptids, it’s time for you to share: are there any that I’ve missed? Any cooler creatures that might exist? If so, share them below! Ryan Whiting lives on an island you've probably never been to and probably care little about. Bermuda, a 21-square mile land mass 700 miles off the coast of New York, is an unlikely place to find such a geeky writer. But he exists and types away, ranting about bad story-telling in video games or raving about last night's episode of 24. That is, if it was any good, of course. 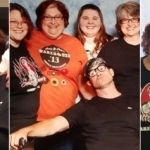 But contrary to what his website may say, Ryan's geekdom is not overly eclectic, and he keeps to his fandoms. He's not really into comic books or anime (save for a few exceptions) and, when it comes to that vampire craze, he'd have a hard time discerning even Jacob from Edward. So, he stays away from such areas and sticks to what he likes. 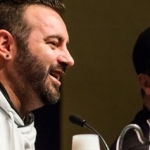 Ryan's in love with serialized dramas, sci-fi shows, and video games, specifically RPGs and FPS's. He'd also like to consider himself a film critic, but only for the movies he doesn't walk out on. He won't do it again. He promises. Ryan's also a bit of a techy, and, whenever possible, tries to stay up-to-date on whatever's current or popular in the gadget-world. Yes, he has to have that latest thing, whatever it is. Outside of confining himself to either his favorite shows on DVD or the gadget blogs, Ryan has a vested interest in photography, and totes his SLR with him to most places. He even has a photoblog over at Flickr that he updates whenever he can (http://www.flickr.com/ryanwbermuda). Living on a such a small island can be tough at times, but Ryan, along with his family and friends, works out just fine. For more of Ryan, check out his website: www.ryanjwhiting.com or Twitter page: www.twitter.com/rwhiting.